The Golf Club at Hawks Prairie consists of two distinct, public 18-hole golf courses: The Woodlands and The Links (formerly Meriwood and Vicwood, or "The Two Woods"). Opened in 1995, The Woodlands (Meriwood Golf Course) is consistently ranked in the top 10 most challenging courses in the state and spans 415 acres with narrow fairways winding through dense forest. A fourth set of tees was added in 1998 to offer a more manageable alternative for high-handicappers. 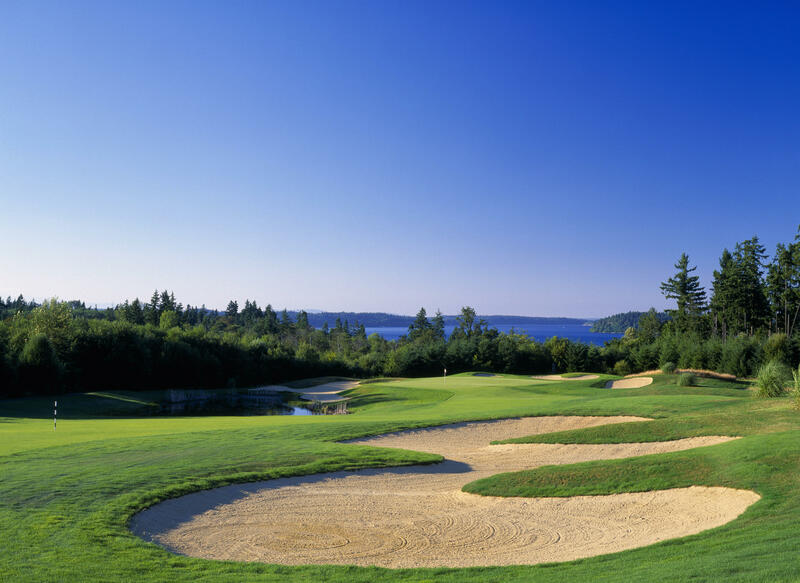 In April of 1999, a second 18-hole championship course was opened, creating one of the most unique and exciting 36-hole facilities in the Pacific Northwest. Designed by Peter L.H. Thompson, The Links (Vicwood Golf Links) boasts spectacular views of the Puget Sound and Mt. Rainier, with open fairways and lush rolling hills -- a stark contrast to its wooded counterpart. Meriwood and Vicwood were purchased by Oki Developments, Inc. in July 2001, and were subsequently renamed The Woodlands and The Links. The 36-hole facility was collectively branded The Golf Club at Hawks Prairie. Shortly thereafter, Oki Golf expanded the facility's clubhouse to 2,500 square feet in order to accommodate larger groups for tournaments, banquet functions, weddings and receptions. Located just minutes from Olympia, The Golf Club at Hawks Prairie offers one of the most exceptional golf experiences the Northwest has to offer.